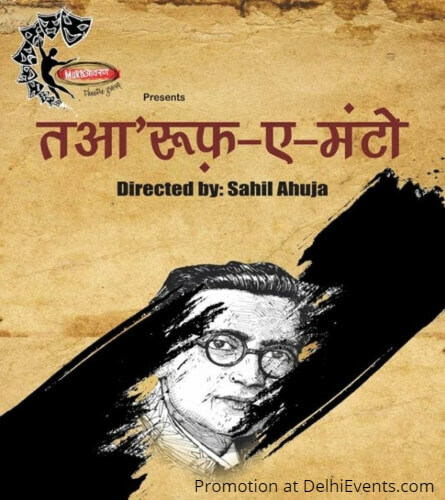 Event Description : THEATRE : Mukhavaran Theatre Group presents "Taʻaruf-e-Manto" Hindi Play. Saadat Hassan Manto is one of the most notorious and controversial Urdu writers of all times. Many of his stories revolve around the pain and trauma that people have experienced at the time of partition. This show – “Taaruf-e-Manto” is our small effort to make people disseminate with Manto’s life and his most contentious short story Khol Do. It is said that Manto's stories are equally relevant in both the times – today and in the past when it was actually written.